A little earlier this month I posted up the 1500 point army list that I'd be taking to a local tournament. Those that checked it out might be interested in seeing how it performed. Instead of separate batreps, I'll put up a summary of each game in this post, to give you an idea of what worked and what didn't. I wrote this list early in the planning stages of the tournament (I planned and ran the tournament myself) and submitted it to one of the players before I had received any of the other players' lists for pre-approval. This was to show, in good faith, that I wasn't tailoring my list as I checked out the lists coming in. When I wrote the list, we estimated between 6-8 players would come; mostly regulars that I'd played before. However, in the last week before the tournament, We had an explosion of interest from a nearby university, bringing our total to 15 players!! I had left the format pretty much wide open, only disallowing Forgeworld, so this made for some cheesy lists among the more competitive players. 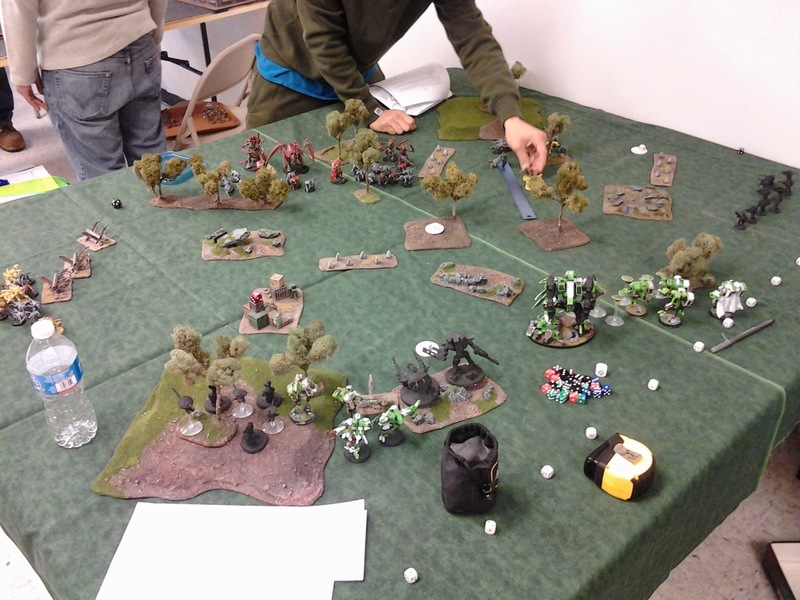 Even so, everyone had tons of fun and it was a smashing success for our first tournament. We even got some card players interested in playing. Note: Transcendent C'tan is OP and shouldn't be in Escalation. A couple things didn't go my way that would have made a huge difference. For example, my Intercepting Large AP2 Blast scattered wide, and from then on the unit was Invisible. I failed to finish of the first Dreadknight turn 1 because I directed some of my firepower at the Invisible Paladins (moronic. I don't know what I was thinking). I left my Stealth Suits where they were, instead of re-positioning them. Otherwise, the game was actually pretty close. 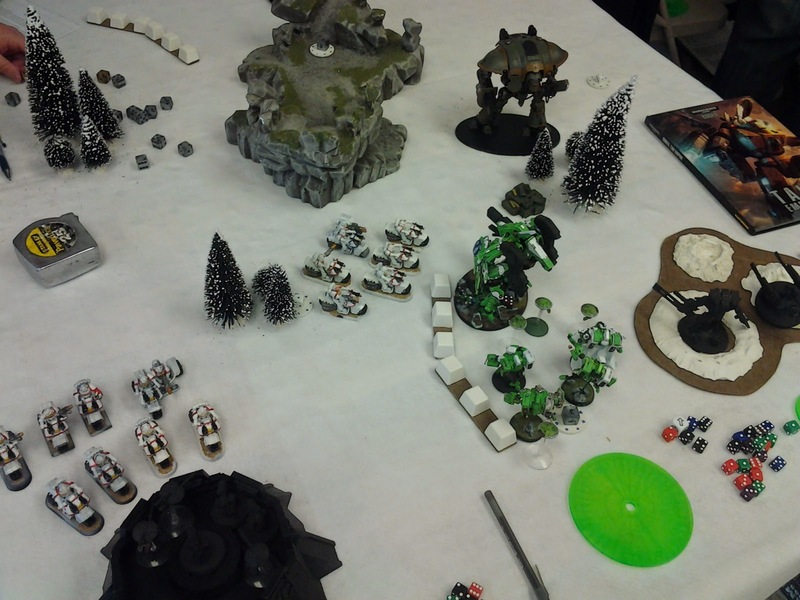 My Riptide held up both units of Terminators for 3 rounds of close combat while my army finished off his Dreadknights. Unfortunately, by that time I didn't have much left to fight back with. 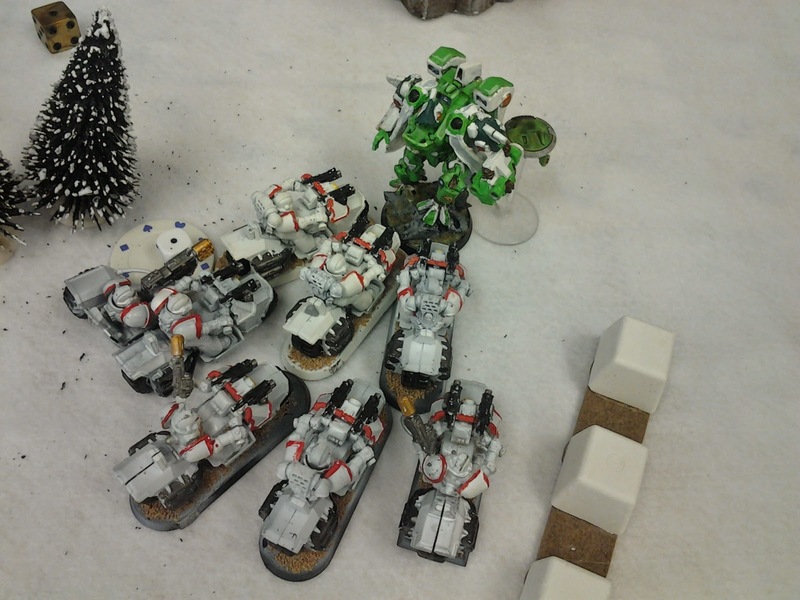 The Storm Raven kept picking off my battlesuits with instakill weapons, including my Warlord. He scored 6 VP's to my 1. In another turn I probably would have been able to increase that to 4 VP's, but it wouldn't have won me the game. 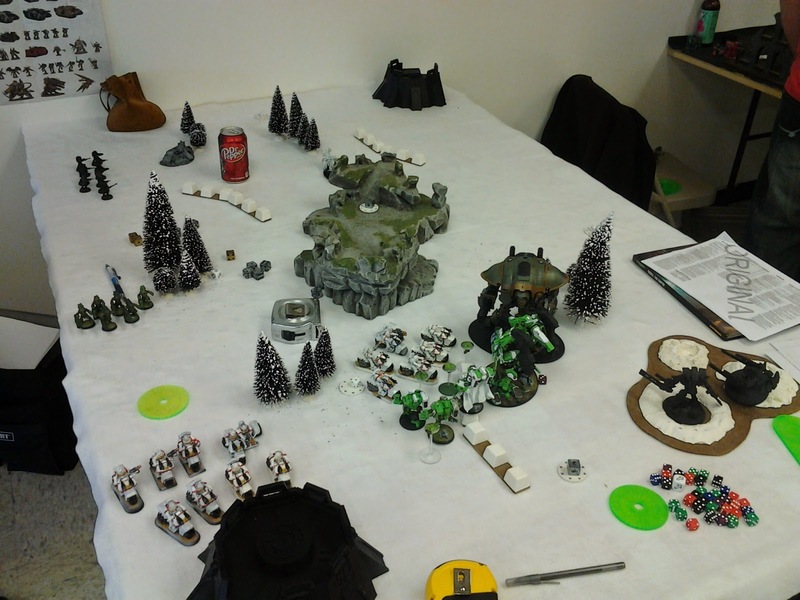 My opponent took 3rd place overall, losing badly to the Transcendent C'tan player in the final round. He periled and killed his own Librarian before the Necron player even got a turn. Serves him right, since he didn't peril a once in our entire game! The mobility of this list was absurd. He was literally inches away from some of my units at the end of his first movement. I lost my warlord and plasma first turn to S8 melta fire, but in return I wiped out his warlord unit. This game went...ok. I hadn't counted on any Imperial Knights (none of the players I knew owned one) so I had few things that could hurt it. My warlord managed to get the Tank Hunter special rule, and had decent odds of killing it in CC, but he died too soon to give it a try. My underestimation of biker army firepower really shot me in the foot. My opponent also managed a 10" charge through cover (12") with his Knight on turn 2, so the Riptide only shot once the whole game. My Outflanking Kroot and Stealth Suits did their job well, and even brought down the Storm Talon with rending sniper shots! 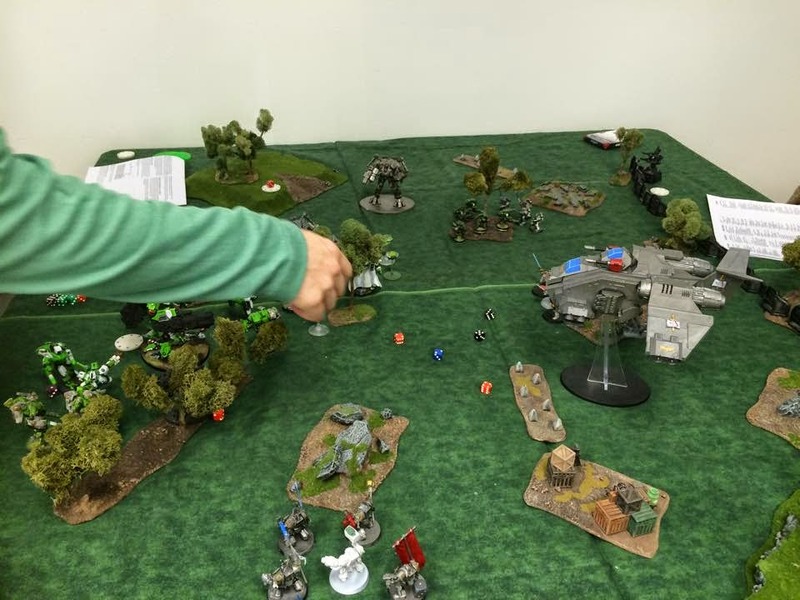 By the end of the game I had a single stealth suit on the board, hidden deep in the enemy deployment zone while my opponent had most of a bike squad and the Knight stranded in my own zone. Final score was 7 VP's to 5. This game went pretty much as expected. I eliminated his entire army and only lost my Plasma suits in return. They got too close to some Termagaunts and got wasted by volume of fire. To be fair, he was under the impression Devourers are S5, so that might have had something to do with it. I won 12 VP's to 1. This pushed me up to 9th overall for the tournament. So, what units did well and what units didn't? To be fair, the units all had their uses from game to game. In one game they would under perform, but they would do better the next game. The Sniper Drone team was handy for a couple guaranteed marker hits, and helped my Plasma team cut down a Dreadknight while the marker drones were occupied in combat with the other. It also attracted more attention than I thought it would, so it doubled as a fire magnet against opponents unfamiliar with it. I'll take this unit over pathfinders any day. My Warlord was underwhelming because he kept getting killed by S8 weaponry. I think that he actually never got to roll a regular armour save, and only failed 2 invulnerable saves all day (each one insta-killing him). Had I played him more defensively he would have done better I think. The Fusion Blades were nice to have around, killing a Dreadknight with lots of S8 AP1 hits, though it only worked because my Support'O was able to accept the Dreadknight's challenge. The Support'O or Buffmander really didn't help me out that much. The only time I faced a vehicle was the Imperial Knight, and it got into combat with a lucky charge before I had a chance to shoot it. Had I faced just about any other army present, he may have been a better performer. The Riptide performed admirably. It killed some stuff, but it was really just there to tie stuff up and buy me time. I forgot to Nova charge a couple times, but they weren't critical times. 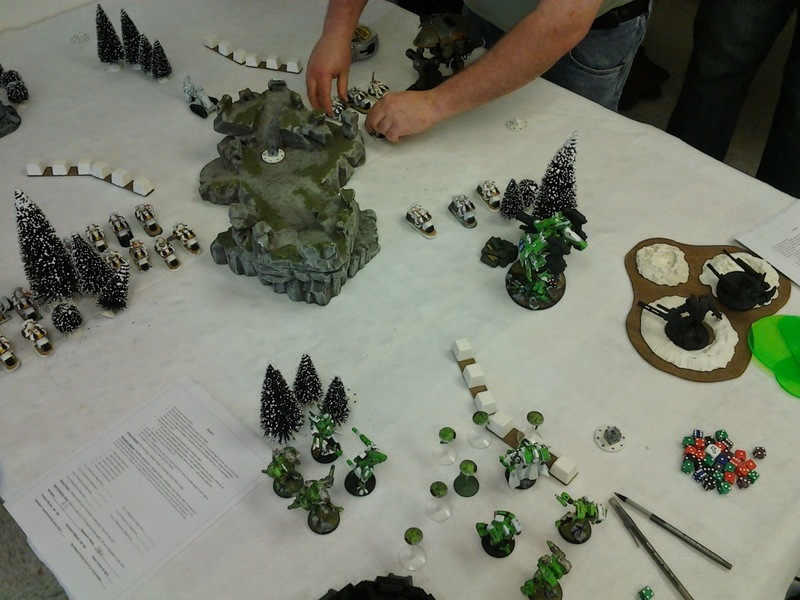 Kroot, Stealths, Broadsides, XV8's all performed as expected. So, I'll be making some changes to the list but overall I think I just need more practice with it. I had the tools I needed, I just misused them sometimes. One issue with your battle report, "sniper" weapons are no longer rending. 6's are resolved as AP2, but they no longer have the rending rule and are counted as str 4 vs vehicles. Perhaps this didn't effect the outcome of your game, not sure what Storm Talon armor is, but something to be aware of. Trans'c'tan are OP even in apoc. I have never seen one die. I personally don't see a point in allowing escelation when not allowing forgeworld. Its like allowing the broken stuff but not the fair/fun units. Brilliant post, very interesting to read and see the results of your list! I practically forgot about SDTs but my just have to give them a little more interest now. Very entertaining read, would love to hear how the points system of your tournament worked. We followed pretty closely to the BAO format: 4 points if you won the primary (eternal war) mission, 3 points if you won the secondary (maelstrom) mission, and 3 possible bonus points (first blood, line breaker, slay the warlord). I added a sportsmanship score of 0-2 so each round you could score up to 12 points.